The sale could free ArcelorMittal, the world's biggest steelmaker, to bid for other Indian steel assets which are being auctioned off as part of insolvency proceedings. Uttam Galva shares fell by their maximum daily limit to close at 18.55 rupees. ArcelorMittal is set to sell its entire stake in India's Uttam Galva Steels to the company's founders at less than the market price of the stock, a member of Uttam Galva's founding Miglani family told Reuters on Tuesday. Ankit Miglani, a former managing director of the company and part of the founding family, said ArcelorMittal had asked Uttam Galva's founders to buy its 29.1 percent stake in the firm and they had agreed. "They asked us to buy the stake, we agreed to buy the stake. I can't give any specifics at this point but it will be below the market value," Miglani, whose father Rajinder Miglani is the chairman of Uttam Galva, told Reuters. ArcelorMittal declined to comment on the stake sale. 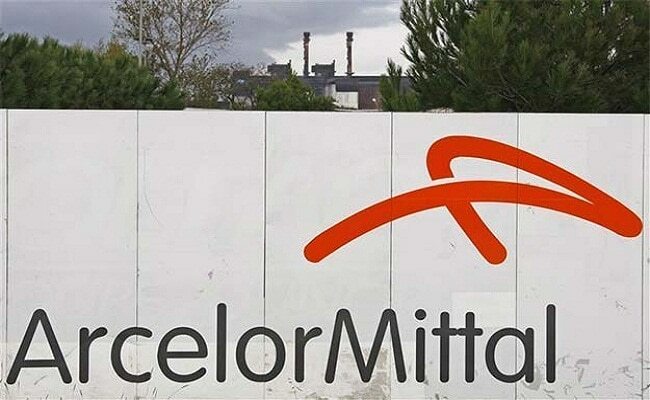 Indian daily Business Standard reported earlier on Tuesday that ArcelorMittal had agreed to sell its about 41.3 million shares at 1 rupee ($0.02) each. Uttam Galva shares fell by their maximum daily limit to close at 18.55 rupees, or 4.9 percent lower. India tightened its bankruptcy laws late last year to bar owners of companies whose loans have been classified as non-performing for more than a year from bidding to buy back the assets when they are sold to raise cash for creditors. The new rules also restrict associates of owners of defaulting companies. Miglani confirmed that Uttam Galva, in which ArcelorMittal has held a stake since 2009, is among 40 companies that have been ordered by the Reserve Bank of India to be pushed into bankruptcy proceedings after defaulting on loan repayments. Uttam Galva, which makes cold-rolled steel and galvanised steel used in cars and refrigerators, remains in talks with its creditor banks to restructure its loans, Miglani said, adding that there had been no progress in the talks so far. In a regulatory filing on Jan. 31, Sainath Trading, a closely-held company owned by Uttam Galva's founders, said it planned to buy the ArcelorMittal stake on or after Feb. 7. ArcelorMittal's plan to exit Uttam Galva was probably driven by the change in bankruptcy law, said Sumant Batra, a leading insolvency lawyer. The company had told Economic Times newspaper last November that it did not expect to be prevented from bidding for steel assets in bankruptcy as it is a minority shareholder in Uttam Galva with no board seat or role in management. ArcelorMittal, which has long wanted to set up its own steel plant in India, did not bid for insolvent Bhushan Steel but told Reuters on Monday it remained interested in "future opportunities in India". Sources have previously said the company headed by India-born billionaire Lakshmi Mittal may bid for Essar Steel, another company in bankruptcy.